RafikBB had the most liked content! RafikBB replied to Yreq's topic in Witamy ! 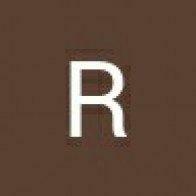 RafikBB replied to Rafal_Zywiec's topic in Witamy ! RafikBB replied to Kamil Górecki's topic in Witamy ! RafikBB replied to Piotr Rk's topic in Akcesoria, ubiór, części. RafikBB replied to Rusher's topic in Witamy ! RafikBB replied to RafikBB's topic in Witamy ! RafikBB posted a topic in Witamy !